Love it! !The lace really makes me feel about the way I look. I feel fantastic every time I put it on. Of course, it helps that all my girlfriends are totally envious of the way I look in it. 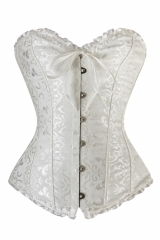 I got this amazing corset to create a personal wedding dress style and couldn't be happier. The corset doesn't make me uncomfortable and really flatters the skirt I chose for the dress. 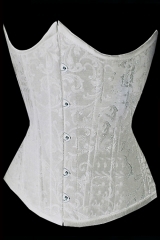 I can't wait to walk down the aisle with this beautiful corset on! Can't tell you how much fun I have in this corset whenever I go out. It doesn't just look great, but doesn't stop be from moving when I'm at the club. Very stylish, very cute and very versatile.